The long-awaited redesign is finally here. 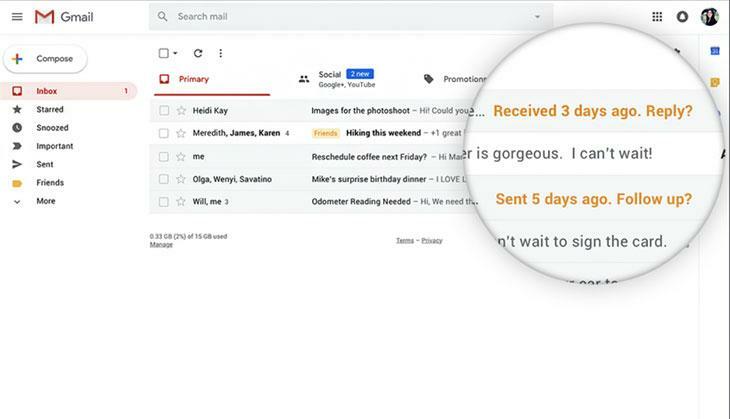 Google, the company that runs the world’s most popular email service, Gmail, has flipped the switch on the biggest overhaul the platform has seen. The changes may have been leaked earlier this month, but Google has finally made them official. This update is being rolled out in a phased manner. Not all of the 1.4 billion users will get it right away. Instead, it will be an invite opt-in, to begin with before being able to just flick the switch on. Immediately noticeable is the visual redesign of the web version of Gmail. The new features include snooze buttons, a sidebar with a new task-management system, many new security options and hover actions. Confidential mode: This mode allows the user to remove the forward, copy, download, or print messages options for when sensitive information - like tax details/Aadhaar number - via email. Furthermore, one can make the message expire/self-destruct after a set period of time. This gives the sender full control over the information they are passing on. This works by sending a link to the content. The blocking of the options post receiving the email is known as integrated rights management (IRM). 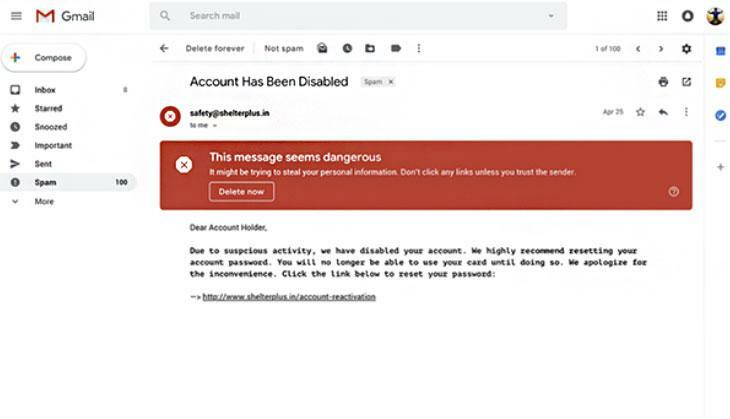 The link lives inside the mailbox and can be accessed by the recipient via their Gmail service, or https using their preferred email service. If the sender has enabled two-factor authentication (2FA) then all the recipient has to do is enter the code sent via text message before they are granted access to the email. This 2FA is done on a per-message basis. The one downside is that the recipient can take a screenshot of the email before it self-destructs. The confidential mode features aren't coming immediately to Gmail. Google says the secure mode will be available "in the coming weeks". Email snoozing: This popular feature, from third-party clients, is now making its way over to Gmail. This helps in de-cluttering the inbox. If one is reading an email on their mobile phone and wants to reply on the desktop at a later time, they can just snooze the messages until a specified time. The email will then resurface at that time, allowing you to reply. Smart replies: This is just being brought to the full web version. Google introduced the automatically generated 'smart replies' back in 2016 for the mobile version of Gmail. Smart replies use artificial intelligence (AI) and drafts simple replies to emails. Nudging: Gmail will resurface those emails it recognises (again using AI) requires a quicker response than usual. Gmail will now "help make sure nothing slips through the cracks". It's a simple, quick reminder, to help you along your way. Collapsing of the left-side panel: Gmail will now allow you to collapse the left-side panel that hosts the navigation links that one is used to. New right-hand sidebar: This provides many options for customisation, One can add Google Calendar, Google Keep, or Google Tasks in this window, or completely collapse it, to stay focused. Hover menu: One can simply hover their cursor over an email to display buttons. These buttons let the user archive, delete, mark as read, and snooze the email. New warnings: There are now new warnings in Gmail that will alert you when a "potentially risky email comes through". Unsubscribe:: Gmail will not suggest the user when to unsubscribe from newsletters or offers that are no longer being cared about. Native offline mode: This offline mode will have the same UI as the online version. This means that users will be able to work offline, exactly as they would be online, and the changes will be synced when connected to the internet. All these various changes make Gmail on the web feel more like a mobile app. 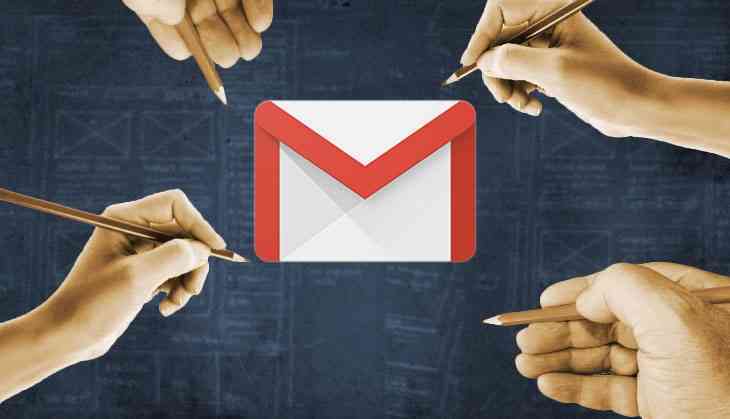 Gmail users will now be treated just the way Google's business consumers are being treated. Google has clarified that it isn't removing any features but just piling on the additions. A Google Tasks mobile app is also being unleashed on iOS and Android. When can one use these new features? Head to the cog wheel icon in the top right corner of your inbox. Hit the 'try the new Gmail' button. The option may not be available for everyone (it wasn't for me) but it'll be coming within the next few weeks. If you do happen to change to the new interface and don't like it, you can always switch back to the classic Gmail.